As NICEIC approved Edinburgh electricians, Capital City Electrical always need to have an eye on the latest changes to electrical regulations. It has been known for a while that the 18th Edition was due to be published sometime this year. Changes to electrical regulations isn’t unusual. Updates tend to happen every few years and they usually have the effect of tightening up on some of the existing regulations as well as introducing some new ones. 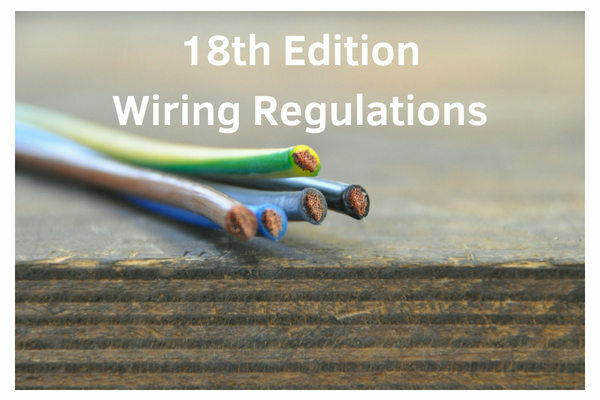 As expected the 18th Edition of the IET Wiring Regulations (BS 7671:2018) was published earlier this month. What this means that all electrical work carried out in the UK must comply with these new regulations from January 2019. However this does not mean that work carried out previous to these changes is unsafe or needs redone, it just means that going forward all new electrical work must comply with the new rules. Protection from the risk of transient over voltage caused by lightning will be required in certain scenarios e.g. where the consequences affect human life, public services, cultural heritage, commercial or industrial activity. In other cases a risk assessment will need to be carried out to see if protection against transient overvoltage is necessary. There is an exception made for single dwelling units (houses) in certain situations. Residual current devices (RCDs) reduce the number of fires due to earth faults but do not offer protection from fires caused by parallel or series arcing between live conductors. The installation of arc fault detection devices (AFDDs) is recommended in order to reduce the risk of fires due to the effect of arc fault currents.